Prince George has now been featured on his first royal stamp, and not only because of his adorable smile. A stamp series was released in celebration of Queen Elizabeth’s 90th birthday that just passed last Thursday, featuring a photo with Prince George’s endearing smile. The photo also included Queen Elizabeth, Prince Charles, and Prince William, standing next to Prince George, representing the path of the future heirs to the throne. Photographer Ranald Mackechnie expressed his worry with photographing Prince George, saying, “You have a small window with children.” No one was quite sure if George would behave. However, to everyone’s surprise, the young prince was perfectly behaved and smiled wide for the camera. 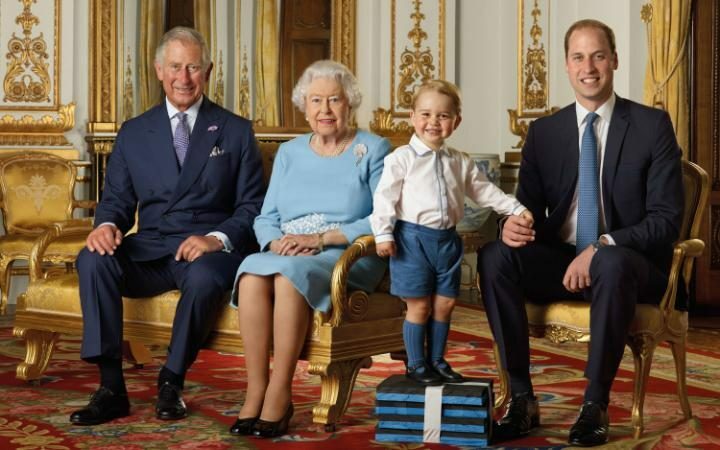 In the photograph, Prince George is standing on little blue boxes with tape wrapped around them. The photographer said this was because each person’s head needed to be a certain distance apart and at the same height in order to use the picture for stamps. The adorable stamps, along with individual ones of Prince Charles and Prince William, both direct heirs to the throne, and the Queen, all became available on the Queen’s birthday. There were many other stamps sold for the Queen’s special day, including ones from when she was younger with her family. No matter who was on the stamp they were an excellent way to celebrate the birthday of an incredible world leader.